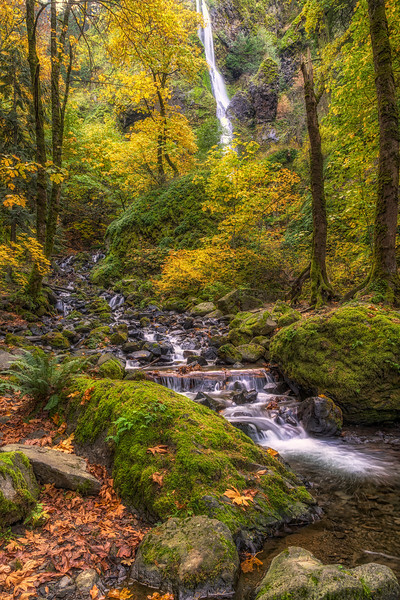 Starvation Creek Falls in Gorgeous Fall Colors. Columbia River Gorge Oregon. Made it up here at the right time. The gorge winds hadnt ripped all the leaves down yet.